Something is wrong here …. 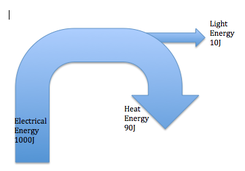 Not only does the arrow ‘light energy’ branch out behind the other arrow without causing a reduction in magnitude for the remainder ‘heat energy’. 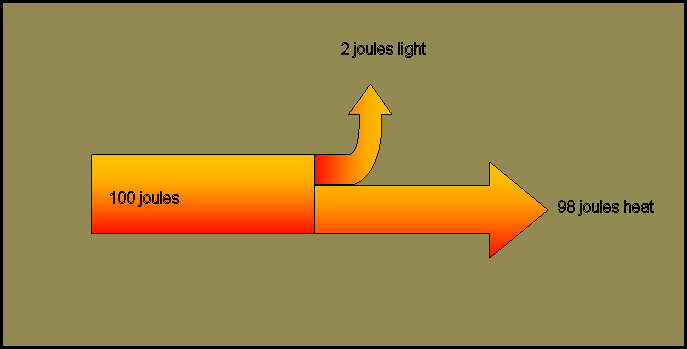 But also 1000 J is split into two arrows of 90 J and 10 J.